If you are a woman looking for medium length hairstyles and have reasonably thick hair, then you could go in for a layered choppy hairstyle. The advantage of this style is that it is simple to cut and takes very little of your precious time for maintenance. The main feature of this style is that the hair is cut into choppy layers right till the top of the head. Though the style has been around for some time, its popularity only seems to be increasing with every passing year. This could probably be due to more and more celebrities endorsing this style or owing to the fact that it emanates sheer grace at all times. This hairstyle could be used for both casual and formal occasions. It is a cut which blends itself well with other styles that you would like to try on your hair. 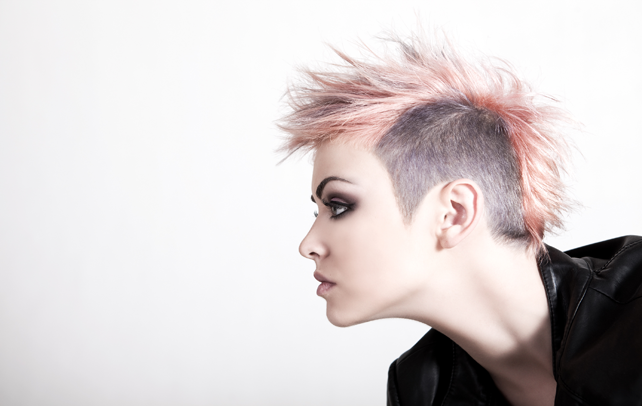 The short choppy layered haircut is perfect for those who wish to make a lasting impression with shoulder length hair. These styles would probably make you give up those old blunt cuts and uniform styles of yours. If you are ready for the new chic look, these styles would be of interest to you. The next section talks about a future of tremendous “choppy” possibilities. This is a style that gives you a lot of options and freedom. The layered choppy bob has been around in the fashion circles for quite some time, but is still very popular. Whether your hair is long or short, straight or curly this style can be adapted to suit you. The hair is cut in even layers, with the shorter layers close to the crown of the head and the longer layers below. This gives volume and texture to the hair. Alternatively, you could have your hair cut in shorter uneven layers to give it a messier look. If your hair is short and fine, you must consult a hairstylist who would know where to make the cuts to give the hair, maximum body. 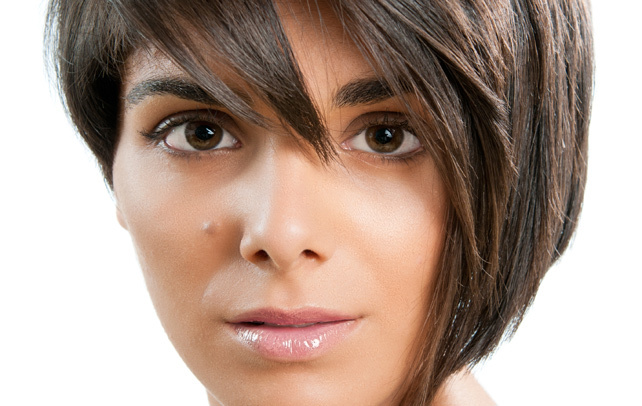 The style can be combined with bangs or fringes at either sides of the face to enhance your natural face cut. You could also part the hair at the centre or to a side to highlight your face. If you want the ends to look spiky, a little gel would do the trick. This is a style that suits round and heart-shaped faces the best. This style requires very little maintenance and would be ideal for busy women who don’t have much “hair” time to spare every day. 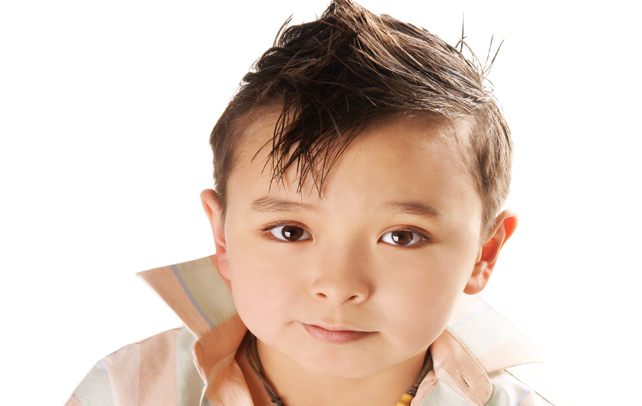 The hair is kept very short, ideally to just below ear level, and is cut in uneven layers all over. For maintenance, all you need to do is to wash your hair and then dry it using a towel. Apply some styling gel and blow-dry it. The gel will give the hair some definition. Using a brush or your fingers, you can pull or twist your hair to create the shape that you desire. Some wax applied at the ends would help in holding the shape better. The short, choppy, layered cut can be adopted both as an everyday style and also for formal occasions. If you are uncomfortable with very short hair, but would like to try the choppy layered look, why not go for the medium version? In this version, the hair is cut longer, almost to the shoulder level. Creating the right layers to achieve the correct style, requires great care and caution, so it would be advisable to avail the services of an expert hairstylist. The stylist would highlight details and add volume wherever required. The style goes excellently with straight, wavy or curly hair. Styling is fairly simple. Wash and blow-dry your hair after applying a little gel. Use a brush or your hands to shape the layers. For a more casual look, use your fingers to make the hair look a little messy. 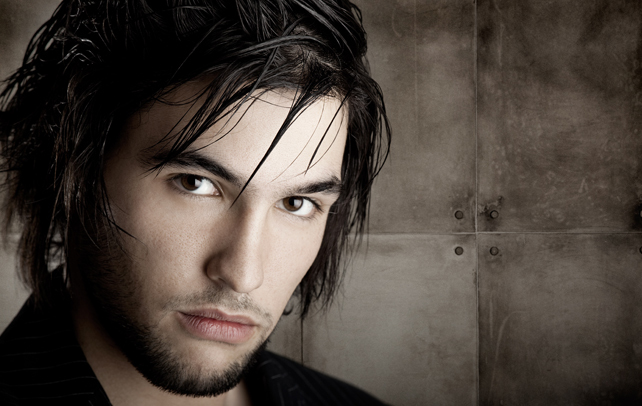 This style suits most faces, and generally defines your features. A style that suits younger women better, the long, choppy layered look, can be worked only on shoulder-length hair. The style is achieved by adjusting the layering to increase the volume at certain levels or by raising the hair ends to create the shape you want. All you need to do is to apply some gel at the ends after washing and blow-dry the hair using a round brush. This long hairstyle allows you to experiment with variations to alter your looks. A good hairstylist would know exactly how to do the layered choppy styles to complement your features, so it is best not to attempt this style all by yourself. Do keep in mind that once the basic style is created, the daily styling is so easy that you would not want to go back to earlier days and hairstyles. So, don’t wait any longer! Emerge from your salon after your next visit looking ravishing in a layered choppy cut!